Many textbooks touch on the topic of external biosecurity on poultry farms, or in other words, how to keep pathogens out of a farm. Making it difficult, for the pathogens to spread inside a poultry house is a different ball game, but with the right data and knowledge, a precise internal biosecurity is possible. Internal biosecurity is all about how to prevent the spread of contagious diseases within the farm. Cleaning and disinfecting procedures play a major role in this internal biosecurity and more particularly in the prevention of disease propagation from one group of animals to the next, growing up in the same pen or house. 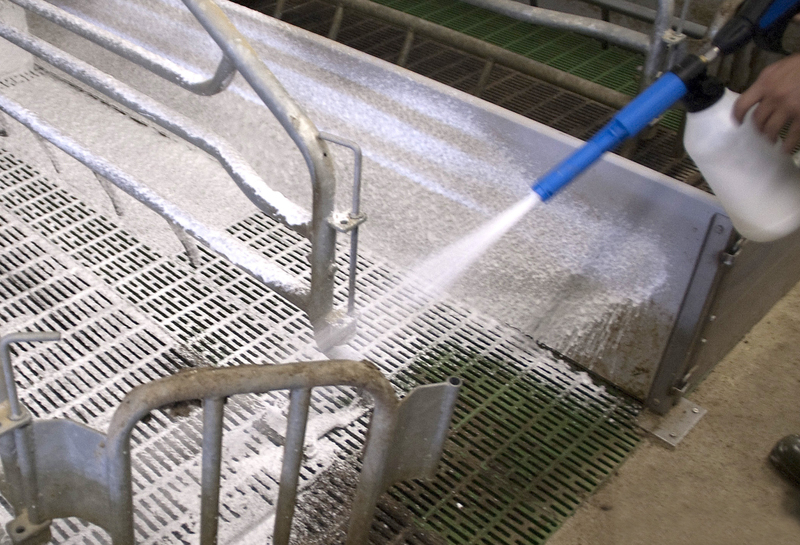 Zooming in on internal biosecurity, cleaning and disinfection is a job that requires precision, balance and understanding. In order to help poultry farmers to implement an efficacious biosecurity management, CID LINES developed the Prevention Cost Calculator. Download this article to know more about the Prevention Cost Calculator! Or get the free smartphone app Prevention Cost Calculator and cut costs by clicking on the link below!